On December 16, the California High-Speed Rail Authority apparently issued a Request For Qualifications (RfQ) amongst train-operating companies — for the guidance of planning and early stage-operations of the planned Central Valley to Silicon Valley bullet train. To explain that more simply, the California High-Speed Rail Authority has begun looking for a train operator for the first operating segment, or segments, of the planned 800-mile rail project, which is currently expected to be completed in 2024. 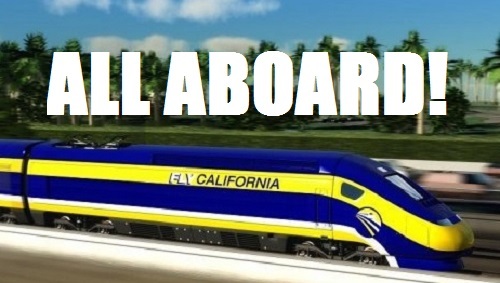 The California High-Speed Rail Authority added: “Today’s action was the first part of a two-part procurement process, with a Request for Proposals to be released to qualified offerors in spring 2017 with the goal of having the Early Train Operator on board this summer. … With more than 119 miles of active construction in the Central Valley, construction of a high-speed rail line between the Silicon Valley and Central Valley is planned to be complete by 2024, with passenger service beginning in 2025.